Unsweetened chocolate, sugar, cocoa fat, dry whole milk, soy lecithin, cream, glucose, peanut butter (select roasted peanuts, corn maltodextrin, soybean oil, salt, hydrogenated vegetable oil, mono-and diglycerides), raspberries, blueberries, cookie crumb (enriched wheat flour, vegetable oil, baking soda, whey, corn starch), coconut (sulphites), sea salt, sesame seeds, peanuts, almonds, pistachios, cranberries, golden raisins,, citric acid, cream of tartar, various spices, various alcohols, FD&C colorants. 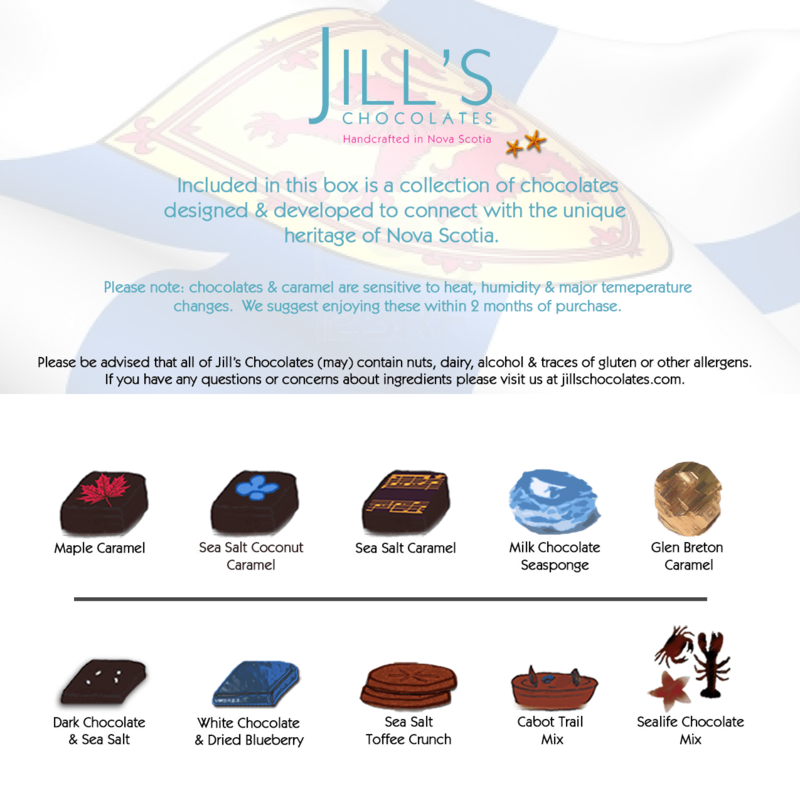 All of Jill’s Chocolates (may) contain peanuts, tree nuts, wheat, sulphites, alcohol & dairy. Please contact us with any concerns you may have about specific allergens that may be used in our kitchen.